Southern 100 Racing, organisers of the Isle of Man Steam Packet Company Southern 100 International Road Races are to make a number of changes to their racing classes for the 2019 event which takes place Monday to Thursday 8th – 11th July. The main change is the dropping of the ‘Ultra-Lightweight’ 125cc/400cc class from the programme along with the discontinuation of the Support races. However, with the increasing number of entries being received for 600cc machines, the organisers are to include an additional race for this class. ‘The Club took the decision to drop the 125/400 races, mainly due to the ever-falling number of entries being received, not only at Billown but at other ‘pure’ road races and concerns by the Technical Officials of the age and standard of the machines being presented for pre-race examination. The first 125cc race at the Southern 100 was run in 1961 and was won by Dan Shorey, the class was dropped after the 1964 races and returned in 1990 and has been run every year as an individual race and also run concurrently up to and including 2018, whilst the 400cc race was also introduced in 1990 and has continued annually. 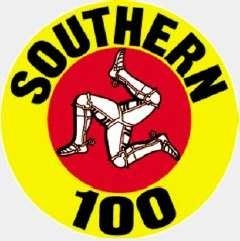 The full Race Programme for the Isle of Man Steam Packet Company Southern 100 International Road Races 2019 will be announced at the Official Media Launch in February next year.